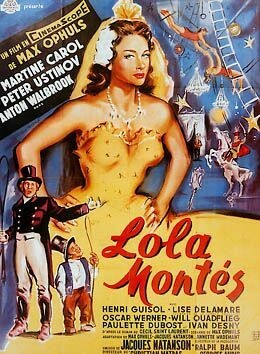 At the Music Box this week is a beautifully restored version of Max Ophuls's 1955 masterpiece Lola Montes. Do not miss it. I'm tempted to go back and see it again every single night despite the inertness of Martine Carol's Lola, but think I may just settle for rewatching Ophuls's equally amazing The Earrings of Madame de . . .